Don't miss out on the world's first and only orangutan boxing show! Experience a splash in the jungle with a water flume ride – perfect on a hot, sunny day! The driver picked us up on time at the hotel. The zoo has many animals. The best part is that our kids can feed the giraffes,birds, elephants and even take photo and feed small tiger. We had so much fun! Thx! Get US$1.0 back in Klook credits for your next trip when you book this activity! Complete this Klook activity to get 5% of the activity cost back in free credits to use on your next booking. For example, book US$20.29 to get US$1.0 free credits. Use this coupon code within 24 hours to enjoy an additional 5% discount on this activity! Get a thrilling experience in the wild at Safari World Bangkok! Get up close and personal with lions, giraffes and ostriches in a scenic, breathtaking ride, and delight in the tropical colors of exotic birds at the Bird Show. For a little more action, the one-of-a-kind Orangutan Boxing Show is not to be missed, while the Feeding Show lets you in on some hands-on feeding experience. 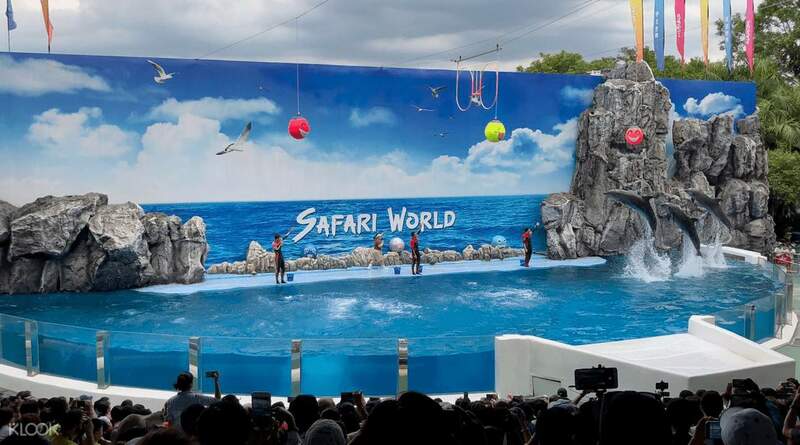 With a Safari World ticket, you can get access to the Marine Park, where you'll get to ride on a river cruise and enjoy the daily White Tiger Show. 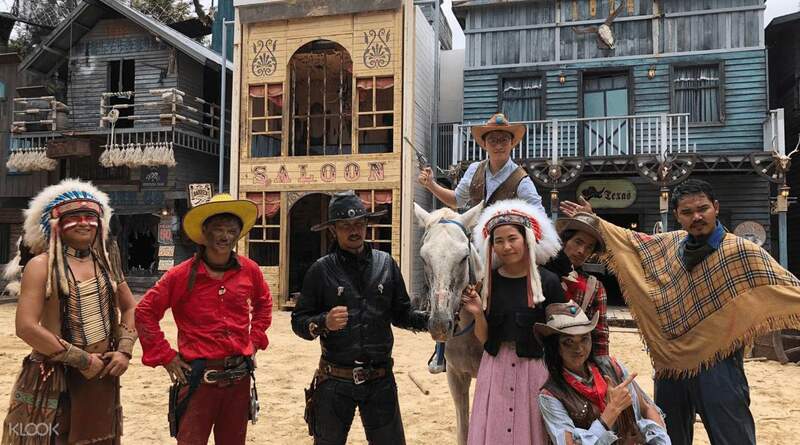 On top of the animal sightings, there's the live, wild, wild west Hollywood Cowboy Stunt Show, filled with heart-wrenching gunfights, bullwhips and horseplay, as well as a refreshing water flume ride! Make it a day at Safari World, complete with a buffet meal to pad and fuel your trip. It sure is more than your ordinary zoo! Experience hassle free transfers and arrive at Safari World in no time! 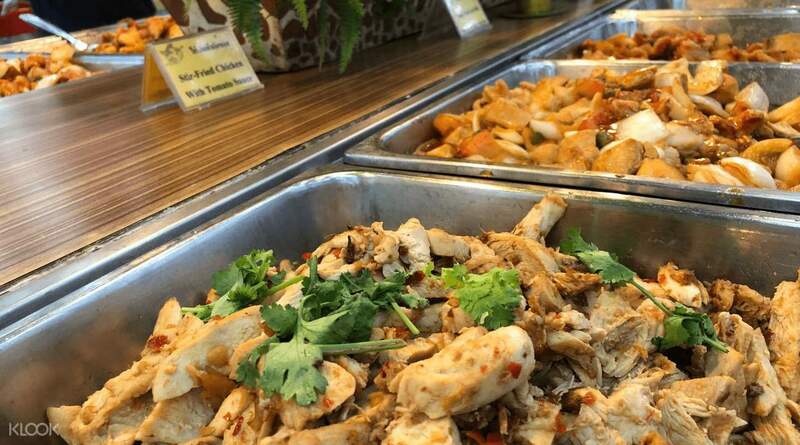 Dig into a sumptuous lunch buffet as you explore Safari World in Bangkok! wonderful to see such trained animals. Giraffe, dolphin, seals all were wonderful. Thanks klook for providing tickets at cheaper price than the market and without any hassle. One suggestion for all pls carry sufficient water with u. Water price is very costly. wonderful to see such trained animals. Giraffe, dolphin, seals all were wonderful. Thanks klook for providing tickets at cheaper price than the market and without any hassle. One suggestion for all pls carry sufficient water with u. Water price is very costly. The 30 min safari tour was very good. We saw some animals very closely from the van. The elephant and bird show was awesome. Macaws in open was the best. we saw many animals. Only a very few cages were empty. The 30 min safari tour was very good. We saw some animals very closely from the van. The elephant and bird show was awesome. Macaws in open was the best. we saw many animals. Only a very few cages were empty. Concept of open zoo is amazing. It was a great experience. Shows in marine park were also very good. Klook provided timely transfer and the entry ticket prices charged are also lower than what was charged at the counter. Concept of open zoo is amazing. It was a great experience. Shows in marine park were also very good. Klook provided timely transfer and the entry ticket prices charged are also lower than what was charged at the counter. It was a nice experience seeing the animals roam around the open space. It was like in a real African safari tour. It was worth the 45-min bus tour around the Safari Park. I'd suggest, if you're booking this trip, to avail of the ones with transfer services. Getting to safari world by commuting (w/c was what we did) is too tiresome and I guess more costly. It was a nice experience seeing the animals roam around the open space. It was like in a real African safari tour. It was worth the 45-min bus tour around the Safari Park. I'd suggest, if you're booking this trip, to avail of the ones with transfer services. Getting to safari world by commuting (w/c was what we did) is too tiresome and I guess more costly. Must visit specially for those with kids. Booked the join in transfer, buffet lunch and single day pass (both for Safari and Marina). Booking thru Klook is easy and instructions are clear. We met up at the meeting place. The bus has WiFi and spacious. The tour guide/attendant is good. She really takes care of us. In the Safari World, you will have an upclose viewing of the wild animals and saw a girl feeding a lion and tiger. In the Marina Park, you can see different animals and enjoyed the shows. Buffet lunch is also great however you have to buy your own drinks (only water is unlimited). Must visit specially for those with kids. Booked the join in transfer, buffet lunch and single day pass (both for Safari and Marina). Booking thru Klook is easy and instructions are clear. We met up at the meeting place. The bus has WiFi and spacious. The tour guide/attendant is good. She really takes care of us. In the Safari World, you will have an upclose viewing of the wild animals and saw a girl feeding a lion and tiger. In the Marina Park, you can see different animals and enjoyed the shows. Buffet lunch is also great however you have to buy your own drinks (only water is unlimited). Everything was great! Our guide was great, the bus was cool, it was on time. It was a very happy day for me & my friends. Bus trip around the safari is included. The lunch was good actually, we ate before 11am so we got the whole restaurant to ourselves. Then we went around to see the animals first, after that we watched 4 shows. 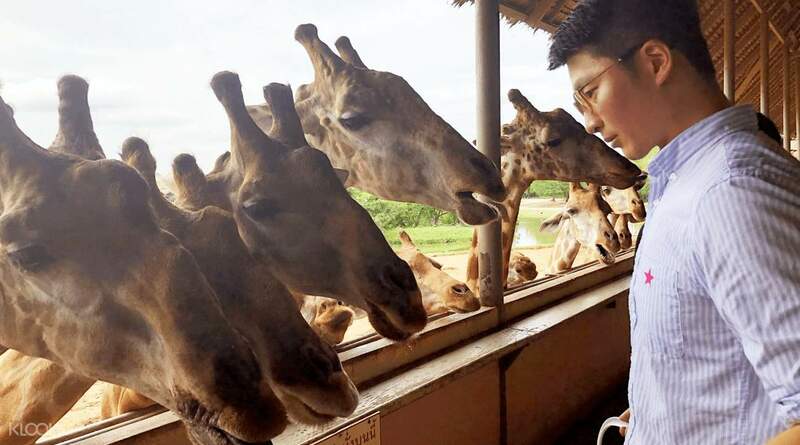 Thank you Klook for making our Safari trip perfect. Thumbs up! Everything was great! Our guide was great, the bus was cool, it was on time. It was a very happy day for me & my friends. Bus trip around the safari is included. The lunch was good actually, we ate before 11am so we got the whole restaurant to ourselves. Then we went around to see the animals first, after that we watched 4 shows. Thank you Klook for making our Safari trip perfect. Thumbs up! Booked both Safari and Marine park tickets from Klook at less price. Sarafi trip was good. Enjoyed Dolphin, Elephant, Cowboys shows. Nice place to spend time with family for whole day. Lunch buffet was good, indian cuisines available. Must recommended for kids when you are in Bangkok. Booked both Safari and Marine park tickets from Klook at less price. Sarafi trip was good. Enjoyed Dolphin, Elephant, Cowboys shows. Nice place to spend time with family for whole day. Lunch buffet was good, indian cuisines available. Must recommended for kids when you are in Bangkok. Q: Will the driver accompany us the whole day? A: The driver for both join in and private transfers will pick you up from your hotel and take you to Safari World. For private transfers, the driver will assist you in getting the entry tickets before taking you into the park. 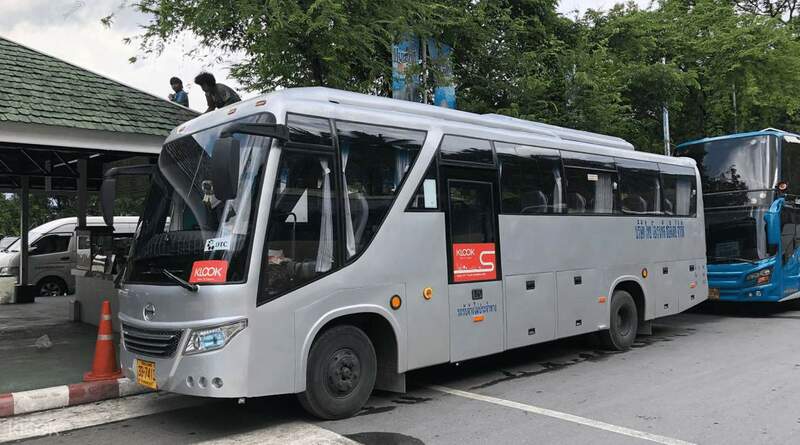 For join in transfers, the passengers can decide whether the driver will wait in the parking lot or take you directly into the park. Q: How long will we have the private car and driver? Q: Can I request the driver to take me back to the hotel earlier if I book a private car/van? A: Yes. You can request the driver to take you back earlier with the private car/van package. Q: Is the car safari inside the park included in the package with transfer? 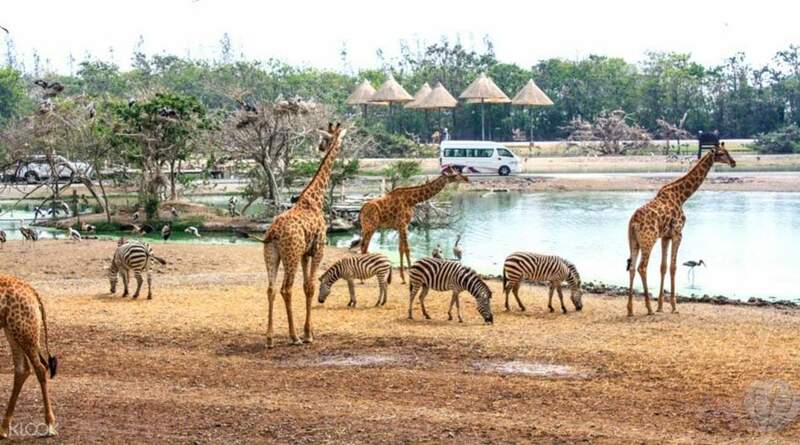 A: Yes, both private and shared transfers will include a drive through Safari Park. Q: Are pick ups available from the airport for the private car/van package? A: Yes, customers availing of the private transfer service may also choose to be picked up from either BKK or DMK at no additional cost. Q: Is it possible to be picked up and dropped off at two different locations or hotels? A: No, your drop off location must be the same as your pick up location indidcated upon check out. Q: Do I have to pay for my driver's ticket to Safari World? A: No, there is no need to purchase a ticket for the driver.